You can use it in sauces, dips, soups, pesto, chutney, curry - any way you like apart from salad and garnish. The freezing process breaks down the leaves so that they are flacid and formless when you defrost. 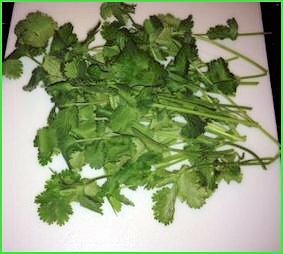 Give your cut cilantro a good wash, then dry it on kitchen roll. The cilantro above was off one plant which I had picked up in the supermarket - it was a bit sad, so it had been marked down in price. I cut it down to the bottom and estimated that I would use half of it per cooking session. So - take a good handful of leaves and put them into a poly bag. Squeeze the air out of the bags, then tie loosely. Stick a label on so that you know what you have - they really all do look the same. 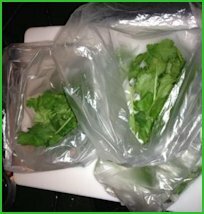 I have a plastic box which I use to keep my bags of frozen herbs in the freezer. So, if you've got labels on, you can find which you want easily. 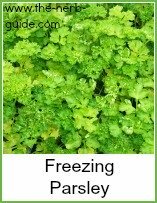 You can use the cilantro (for UK cousins, it's freezing coriander) straight from the freezer. There's no need to defrost if you're going to put it into a cooking dish - just break it into pieces as soon as it comes out, then throw it into the pot when you're ready. Likewise, in pesto, dips, dressings etc the processing will chop it up. 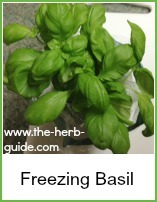 This method works equally well on many different herbs. You will only be able to cook with them, not use them for garnish as they will not keep their shape, no matter how you prepare them. There's no need to defrost before using - they'll just soften in a minute or so as soon as they come out of the freezer. 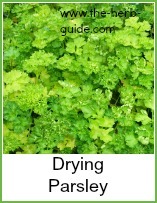 If you want to dry herbs, then a super quick way is drying in the microwave - oven drying is fairly quick, around two hours, but microwave takes up to two minutes. Take your choice regarding the method - I like freezing best, but there is something eminently satisfying about a row of labelled jars with herbs in that you've grown and dried yourself. 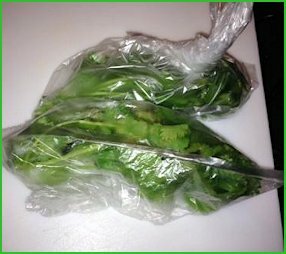 Preparing Cilantro for freezing is easy - just cut it and put it in a bag. Step by step photos.